I don’t expect that many of you to have one. But think hard, just in case you do, and also keep what you read and see on these two pages in a tiny corner of your mind, just in case you are fortunate enough to see one in the future. I know this from personal experience. I bought the desk base shown here in a dark corner of Portobello Road some ten years ago for the princely sum of £5. It’s value today – well you can see it in the caption below. I recognised the painted design as being that of Dunhill Namiki immediately, and I just want to let you into the secret too. Except of course it isn’t really a painted design. That’s part of the key to this area. Whilst a great number of souvenirs with painted Japanese scenes were turned out by Japanese factories from the 1920s-60s, they are a world apart from the fine lacquer work designs produced under the partnership of renowned British accessories retailer Alfred Dunhill and the Namiki Manufacturing Company of Japan. The discovery of the art of lacquer decoration dates back to around 9,000 years ago. Japanese craftsmen found that the sap of the Rhus tree formed a hard and durable material that could be used like paint when wet, but became highly resistant to wear, water and light when dry. Mixed with pigments, vibrant fade-resistant colours could be made, and the colourless resin could also be used as an agent to bond gold and silver powder to an item, adding an extra special level of decoration. Japanese kimono robes did not have pockets, so in order to carry around necessities such as spices, herbs and medicines, small box-like ‘inro’ were developed, which hung from a cord worn like a belt. These multi-sectioned boxes were perhaps the most popular items to be decorated with lacquer. Writing boxes known as ‘suzuribako’ were also decorated, and by the 19th century a whole raft of different objects were embellished with this visually stunning, hard-wearing form of decoration. The term applied to this type of lacquer decoration is ‘maki-e’, which literally means ‘sprinkled picture’. This relates to the process whereby colourless lacquer would be delicately painted on, and gold dust or pigment sprinkled on top of it to show the painted design. 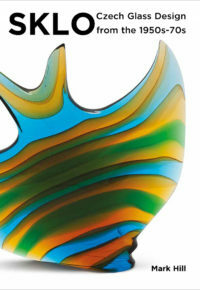 The design was then built up in different layers, each with a different colour and possibly technique. And herein lies the difference between simple painting and the work of the lacquer artist. A design would be sketched out, then added to with one layer, another layer, and another, and quite often another. Rather than being daubed on and left to dry for a few hours, each finely painted layer had to be dried in special cabinets for days in order to make it hard and durable, then finally polished. 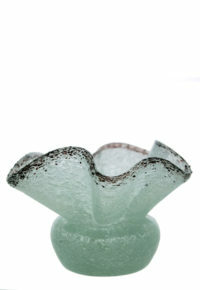 Thus the design was built up over a period of many weeks, and often took on wonderful feeling of depth. For more complex designs with many layers, the process could take months. This process and the creativity of Japanese lacquer artists also gave birth to a number of different styles, each of which has its own name. Small sections of inlaid mother of pearl are known as ‘aogai’, a gentle sprinkling of cloud-like gold dust is known as ‘nashiji’ (literally pear skin), and built-up designs that feel raised when you run you finger over them are known as ‘takamaki-e’. I know this sounds a little like the contents of a Chinese restaurant’s menu, but it’s important – the more techniques a piece has, the more it is likely to be worth. So now you have a brief introduction to the work that is put in to create the pieces, and what the different processes are called, let’s take a look at the items themselves. As I mentioned above, lacquer work techniques were applied to a vast variety of items over a long period of time, but I’d like to focus on what is quite often ignored, partly as many think that they are too modern for proper consideration. 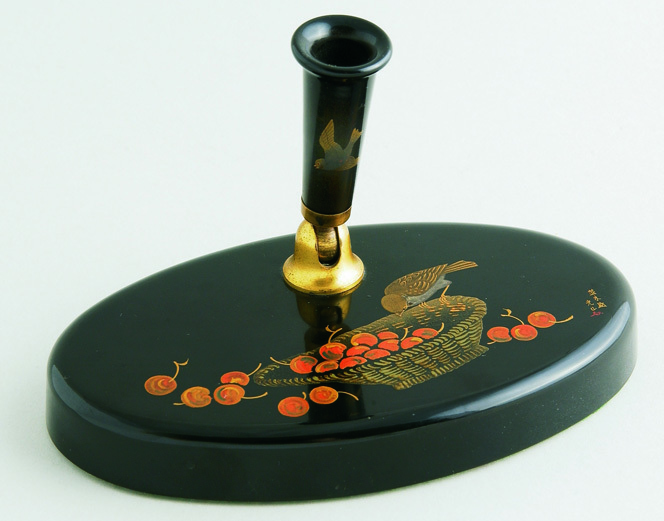 This comprises the pioneering work of Dunhill and Namiki during the 1920s & 30s, and the application of traditional lacquer techniques to fountain pens, cigarette cases and lighters, and other gentlemen’s and ladies’ prerequisites. Ryosuke Namiki (1880-1954) arguably brought about a revival of lacquer techniques. As the 19th century wore on and turned into the 20th century, a Western style of dress began to take over, and traditions were left behind. A shipping engineer by trade, he founded the Namiki Manufacturing Co in 1918, producing pens and nibs. By 1925, he had solved the problem of hard rubber discolouring through exposure to the atmosphere by developing ‘Luccanite’, a hard rubber that included lacquer in the ingredients. This naturally soon led to him experimenting with traditional maki-e lacquer techniques. Soon, his team of artists had perfected the techniques on pens – no mean feat considering that one only ever sees around a quarter of an entire design face-on, the time taken to create complex design and the fact that artists worked with brushes made up of literally a couple of hairs due to the small size of the items themselves! Namiki decided to showcase his finely decorated and expensive products around the world in 1925, attracting prestigious retailers such as Asprey and Cartier and, in 1927, Dunhill. Clement Court, manager of Dunhill’s Paris shop was so taken with the pens that he decided to market them under the joint names of ‘Dunhill Namiki’. By 1929, Namiki’s Setsuji Wada’s efforts and the success created by Court meant the deal became exclusive outside Japan, and so began the legend that became Dunhill Namiki. Pens today range from around £150-200 or so for a plain black ‘Luccanite’ example to a staggering £183,000 for a No.50 sized ‘Giant’ decorated with two dragons flying through clouds and bolts of lightening. Representing the world record price to date, this pen was valued and sold by Alexander Crum Ewing at Bonhams, and was of the absolute highest quality, combining many techniques and a highly detailed traditional pattern of a dragon. It was also a very large size, the largest made in fact, and may even have been larger than the cigar the man who bought it may have been smoking at the time! So no doubt you’ve gathered by now that the detail and type of decoration matters. Simple landscape scenes with lots of undecorated black background are generally known as ‘C’ grade pens. They can be charming and were the most affordable at the time and today, generally fetching mid-high hundreds of pounds, depending on the success or rarity of the design. If more of the pen is decorated, this pushes the value upwards. If the pen is entirely covered with decoration, the under nib ‘feed’ included, it becomes an ‘A’ grade pen, which were the most expensive at the time, and the most expensive today. Dunhill Namiki pens were also made in different sizes and forms. 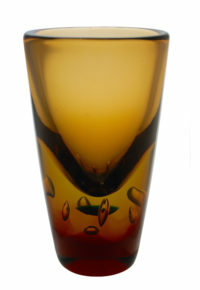 Those with flat tops were made during the 1920s, and those with torpedo shaped, tapered ends were made during the 1930s. The former is generally preferable, although if the decoration is exceptional, the date doesn’t really matter. No.2 sizes are the most slender and are the most common. Go up the scale to the larger No.6 size and it’s a different story. These are much scarcer and considerably more valuable. Take a leap up to the next number, 50, and it’s a different book entirely. Full size pens also tend to be more valuable than shorter ladies’ size pens. The company continued to make pens after the war under the name ‘Pilot’, and still does today, with their finely decorated modern pens retailing for many thousands of pounds. The artist also counts towards value. 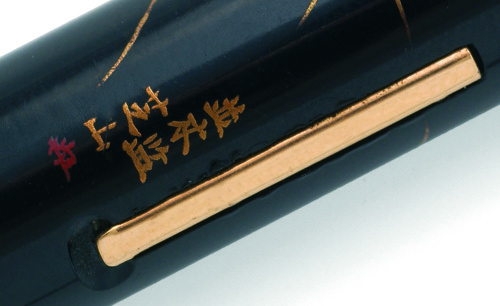 All pens are signed with the Namiki company name in Japanese kanji (effectively letters) and the personal seal of the artist that executed it. Gonruko Matsuda is without doubt deemed the master, but to date only one pen has been firmly identified as being by him. 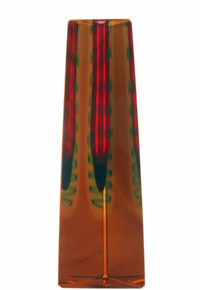 The work of Seisho, Namiki’s chief lacquer artist, is also sought after, as is that of Ritsuzan. There are also some other considerations to look out for. A red body is rare, as is any metal body. Goldfish and flowers are one of the most commonly found motifs, anything else and it’s worth getting it checked out by a specialist. Some designs tell stories, with each motif hinting at Japanese traditions or legends. These factors also count for the other products from the partnership, that lasted until war broke out. 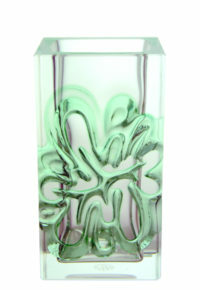 Desk bases, pencils, cigarette boxes and cases were also produced, as were cigarette lighters. Values range from around £150 to over £15,000. Over the past few years Dunhill Namiki products have somewhat reached a plateau in value. This isn’t a bad thing as they have finally reached the steady values they ought to be worth. A red No.6 pen decorated with ‘tsuba’ sword guards (above) fetched an incredible £10,000 at auction in 2005. For the collector, it’s perhaps a good time to buy. For the owner, the heady heights have passed but at least you know that the market has settled so you no longer have to make the impossible decision to hold on for a bit or sell now. Nevertheless, the very best of the best will undoubtedly continue to make eye-popping sums. See what I mean about keeping what you have seen and read in a special place in your mind? I found a found a deskbase on a wallpaper pasting table in a London street ten years ago that is still worth over fifty times what I paid for it – I challenge you to find something better. Let me know if you do, as I’d love to know! Images with thanks to an courtesy of Alex Crum Ewing and Miller’s. The Alfred Dunhill Museum, Jermyn Street, St James’, London. Certainly the best selection of vintage Dunhill Namiki products in the world open to the public. 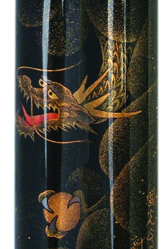 A detail of a 1950s Pilot maki-e No.4 size piston filling pen, decorated by Keizo, showing the dragon’s head. Think of the amount of time-consuming work that went into creating this highly detailed design. A detail of one of the five different tsuba on an exceptional but unsigned 1920s Namiki maki-e No.6 size lever filling pen, showing the different techniques including aogai, nashiji and takamaki-e on a rare red ground. Designs were often designed to encourage the owner to turn the pen around in their hands to fully appreciate them. 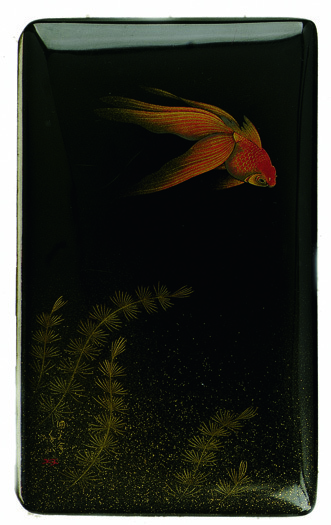 A 1930s Dunhill Namiki maki-e lacquer on metal cigarette case, decorated by Murata Senzan with a goldfish swimming amongst pondweed. Price Guide: £800-1,200. A 1920s Dunhill Namiki No.6 size lever filling pen, decorated with a floral and foliate sprig on a roiro-nuri (black) background. Price Guide: £600-800. A detail of the above pen showing the signature. The three characters on the right relate to the Namiki company, the gilt characters on the left are the decorator’s chosen artist name, and the red character below is his ‘kao’ or personal monogram character. 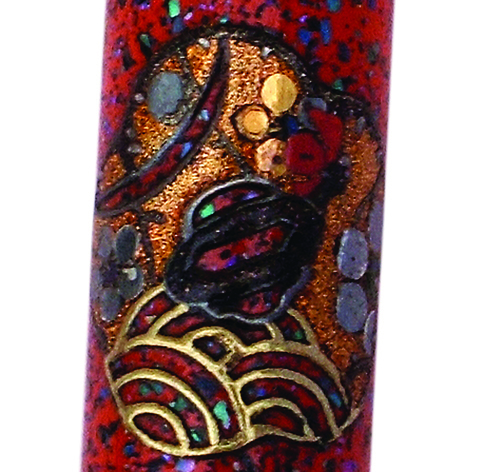 An exceptional 1920s Namiki maki-e No.6 size lever filling pen, unsigned but without doubt a masterpiece, decorated in many different maki-e techniques with a rare pattern of sword guards (tsuba) on a red ground. Price Guide: £10,000-15,000.